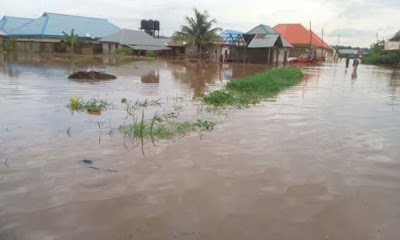 Many residents in 12 communities in Boki Local Government Area of Cross River State have been rendered homeless with over 3000 farmlands destroyed by devastating flood following two days of heavy downpour. The incident which occurred between September 18 and 19 has also left properties worth millions of naira and thousands of economic trees destroyed. The disaster which affected bridges that connect some communities to other parts of the local government also polluted the only stream which serves as the source of drinking water in the area. Boki is found in the Central Senatorial District of the state and its indigenes are mostly farmers who deal in cocoa, palm kernel, plantain amongst other crops. The affected communities are Bago, Unu, Bagabo, Bakie, Bufua, Kakwe-Beebo and a host of others. Speaking about the incident, Director General of the State Emergency Management Agency, John Inaku, said that the means of livelihood of the affected communities have been seriously affected.